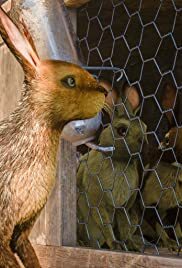 While Hazel attempts to find new does for Watership Down, another group investigates another warren and find themselves prisoners of the horrific tyranny of Efrafa. Hazel: [about going back to the human farm] I'd feel a lot better about going back in there if you'd seen something. Fiver: No. I don't want to go beyond anymore. Just as the weight of knowing what has past is crushing you, so am I crushed by the weight of knowing what may become.